Very good, there is some shelf wear on cover, including light creasing and marking, pages are clean and lightly read. This book is a treasure, not because it was Jane Austen's last novel but because it is so different from her other books. Anne Elliot is a more mature heroine than in Austen's other books. Eight years before, Anne was briefly engaged to Frederick Wentworth. Anne's mother was dead by then and her close friend, Lady Russell persuaded Anne that the young man was not worthy of her. Reluctantly, Anne broke the engagement. It is years later and Frederick Wentworth, now a naval captain, is wealthy. When Anne and Frederick meet again, the captain treats Anne coolly; he is still hurt over her rejection. He seems intent on marrying one of the neighboring Muskgrove's daughters. However, he slowly starts to realize where his heart lies. This book is also a satire on social snobbery. As Frederick's fortunes have increased, the Elliot household finances have started to teeter. Anne's father and pompous oldest sister, Elizabeth, continue their ruinous spending in spite of their reduced circumstances. Mary Muskgrove, Anne's second older sister (and the only one married) is an accomplished hypochondriac; it is fascinating to watch others maneuver around this arrogant young woman. This is a fully-fleshed out book with restrained, but delightful characters (Anne is a restrained character in comparison to Emma and Elizabeth Bennett). The humor is evident in the satire sprinkled throughout the book. However, it is the subtle and deep affection that Frederick and Anne have for each other that is the focus of this wonderful story. Fast delivery, great condition. Would buy from this seller again. This is a lovely story at any age, I think principally because the relationship between Anne Elliott and Captain Wentworth is the truest to life, the most nuanced and complicated, of any of Austen's. It's also actually, to me, the most romantic. It also seems particularly rich in humor, characters' absurdities, revealing behaviors & funny dialog. But to an older single woman, this story has even greater resonance - it's so satisfying to watch Anne come into her own when everyone thought it was too late for her. And remember, as I read on a friend's birthday cake, 50 is the new 30! 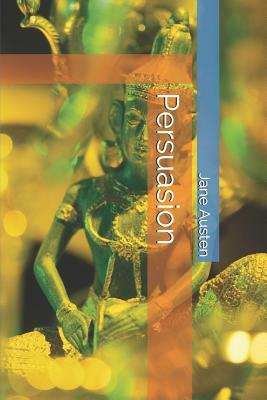 One of the shorter novels of Jane Austen, Persuasion is the lovely story of quiet, sensible Anne Elliot. Surrounded by a family whose only concern is their rank and appearance, Anne welcomes a visit to her sister?s family. During her trip she enjoys the company around her, not the least of which includes a former suitor. The tale is told with such charm as only Austen can produce, and includes one of the most delightfully romantic conversations to be found in literature. What can i say? An excellent read! I loved this book, simply because the heroine isn't as young as her other heroines. Anne, the heroine of the book, has already passed her bloom and is believed to be destined for spinster hood. She is only in her late 20's, but at a time when marriage at 17-19 is desired, she is becoming an old maid. Read the book, find out what happens to Anne and learn about love that is as strong after 10 years as it was at its beginning.